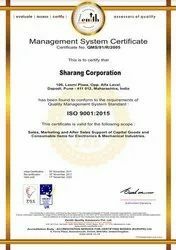 Incepted in the year 1996, we Sharang Corporation is among the leading companies engaged in manufacturing, importing, exporting, wholesaling & trading of ESD Products, Soldering Equipments, ESD Storage, ESD Test & Measurements Instruments, Plastic Bins, Industrial Magnifiers and much more. These products find application in various industries like electronics & electrical, pharmaceuticals, mechanical and automobile. 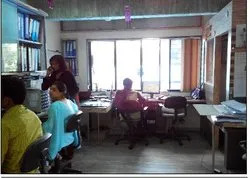 Having the head office in Pune with a branch office in Hyderabad, we procure our products from Estover Technologies, Persang Alloy Industries, LECA, Valence Electrons (P) Limited and ALPHA-IMAGER PVT. LTD. These companies use the latest technology and quality raw material during the production of above-mentioned products. We have grown by leaps and bounds under the able guidance of our mentors, Mr. Ajeet P. Bakare and Mr. Ramesh N. Borekar both having 20 years of industrial experience. Following their visionary approach, we have been able to sell, service and install and cater to more than 1200 Industries. We are the trader of local brands. Our excellent warehousing facilities play a pivotal role in fulfilling the client’s requirements well on time. It has a vast area and huge capacity which allow us to store our equipment. We have constructed and maintained our unit as per various industrial standards which ensure optimum safety for the products being stored. Our warehouse is being handled by a team of highly qualified and skilled team which makes sure that there is no spoilage or wastage during the storage. 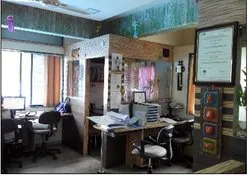 We ensure that products and services offered by us meet the set industry parameters. We perform tests at every stage of procurement to give superior strength and durability. Our Importing countries are Germany & Sweden and our Exporting countries are Sweden & Dubai. We have been able to maintain cordial relations with our clients by providing them with reliable products and after sales service. We are working with some of the well-reputed companies belonging from industries like electronics & electrical, pharmaceuticals, mechanical and automobile. Exclusively represent Estover Technologies, Gurgaon, for their complete range of products of PCB assembly machines & conveyors. Sharang - soldering & desoldering stations / SMD rework stations. Exclusively represent Persang alloy industries [ISO 9000], Baroda, since 2003 for their complete range of consumables for solders fluxes & solder paste. We supply ESD & clean room control products to electronics, pharmaceuticals & software industries. Represent Alphaimager Electronics Pvt. Ltd., for prototype PCB making machines. Special wire stripping tools from Leca - Bangalore. Represent valence electronics for static charge generators & eliminators. We also undertake the service contracts for wave soldering machines. Turn key solutions/consultancy for electronics hardware manufacturing.